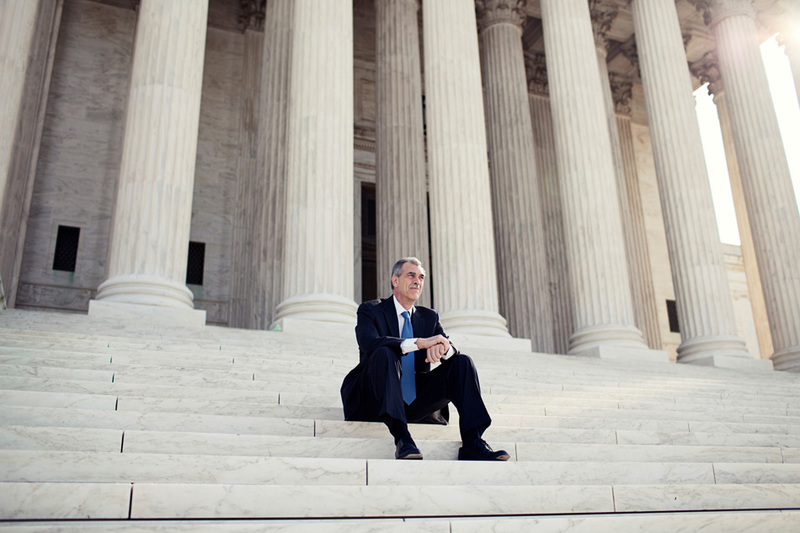 I photographed Solicitor General Donald Verrilli Jr. for the Wall Street Journal in February. As I write this blog post, he is arguing the Obama Administration’s case for health care reform before the Supreme Court. It’s kind of a big deal historically speaking. 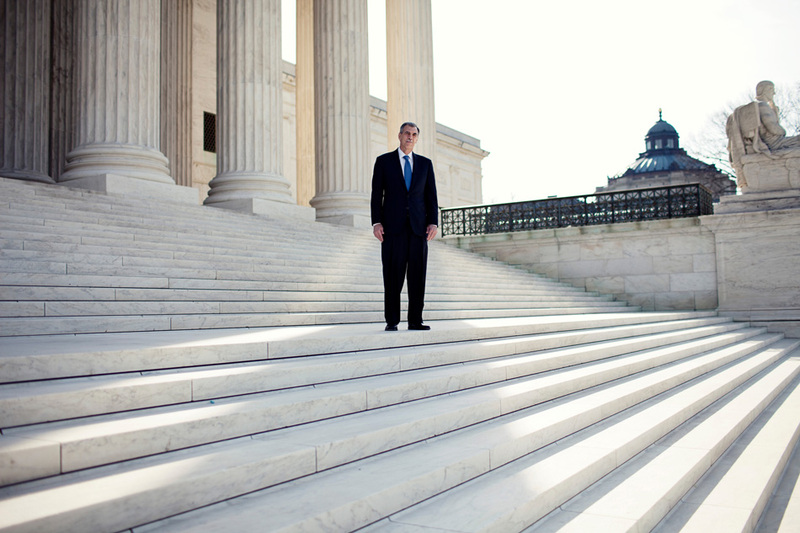 We met on the steps of the Supreme Court for the shoot. I did my research the night before to find previous portrait sessions, but I couldn’t find a single one. I think this might have been the only one he’d granted up to that point. The location is beautiful, obviously- white marble, steps, columns, gravity. I normally like to take my time with portrait sessions, chatting away and stretching 10 minutes into 30, 30 into an hour- but I worked quickly and quietly with this one. From the first to last frame, we spend 12 minutes wandering up and down the steps and through the columns. He had to get back to work and prepare for the case of his life. Posted on 03/26/2012 by Melissa Golden. 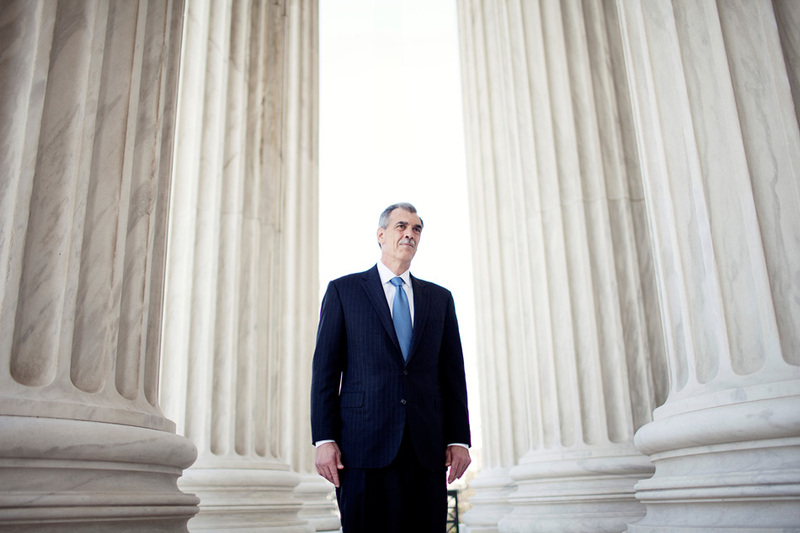 This entry was posted in On Assignment, Portrait, Wall Street Journal and tagged DC, donald verrilli jr, healthcare reform, On Assignment, Portrait, solicitor general, supreme court, WSJ. Bookmark the permalink.